Are you seeking physician staffing Ohio? If you are a hospital or medical center looking for a physician or a doctor looking for a job, you have made a good choice in selecting Doctor’s Choice Placement Services, Inc. Our name is synonymous with “physician staffing Ohio.” We represent many hospitals and have listings for many physician jobs Ohio. If you are looking for a physician, we represent thousands of physicians looking for doctor jobs in the “Buckeye State” as well. We have the means to find you any residential or locum tenens physician position provided you have one of the following: M.D., D.O., MBBS, MBChB, or BMed. Residential physicians or house officers are positions held on a permanent basis and locum tenens physicians are doctor substitutes that can fill in for a day to over six months. If you are looking for physician staffing Ohio, or if you are a doctor looking for a job, our Ohio physician recruiters will be more than happy to help. Ohio is a Midwestern United State and its capital and largest city is Columbus. Cleveland and Cincinnati must also be noted as the second largest metro areas in the state. Ohio has a hot and humid summer with a cold and snowy winter, so if you like diverse weather, this is the place to be. The automotive industry ranks number one in the state of Ohio. This is particularly true for the Northeastern section of the state. Ohio’s location makes access to steel, rubber, and glass very accessible. Steel production is the next leading industry due to high demand for gas and oil pipelines. Because of this high demand, steel production seems set to stay in Ohio. Agriculture is another leading industry in Ohio. Agriculture accounts for 14% of jobs in Ohio and saw a 1% increase between 2008 and 2010. This is significant considering the economy at the time. For those searching the web for physician staffing Ohio, we are proud to tell you that you may search our database of Ohio physician jobs openings at no cost and with no registration. Our Ohio physician job database is updated daily with all available jobs throughout Ohio. We have openings in areas in or around Cleveland, Columbus, Cincinnati, Toledo, Akron, Canton, Youngstown, Dayton, Sandusky, and so much more! When it comes to physician staffing Ohio, we at Doctor’s Choice Placement offer a placement service to all hospitals or medical centers in search of physicians. We will not take payment until the search is complete and we have found the correct physician for you and your practice. We have thousands of physicians on file who are looking for physician staffing Ohio. 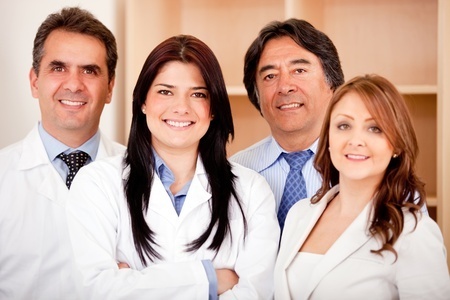 We will be more than happy to help you find the correct physician for your position. You can contact our Ohio Physician Recruiters, register on our Employers page, or call us at (800) 510-0975. We will be more than happy to find a physician for you.